The Boluevard: ride in comfort & style. The Be Cool: simple and smooth. 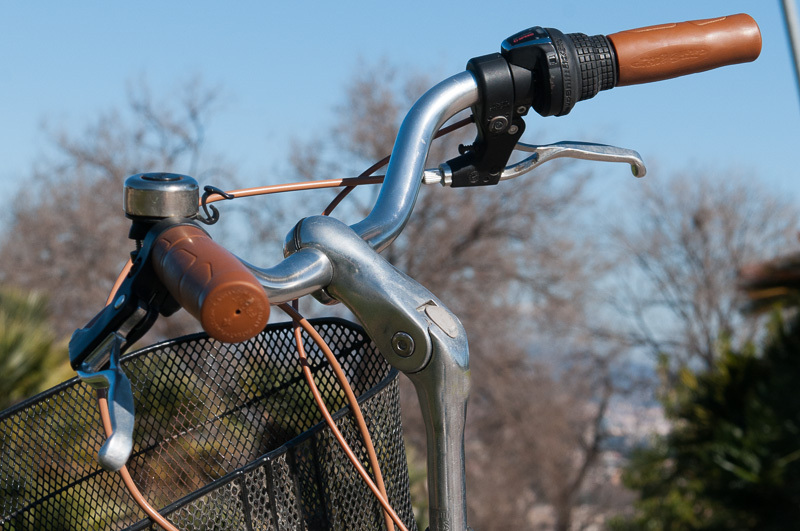 Your Barcelona bike rental adventure begins with some of the sturdiest bikes in the business. They take place in a fun atmosphere founded on top-notch support and they finish with the feeling that you´ve experienced an amazing city on an equally amazing bike. 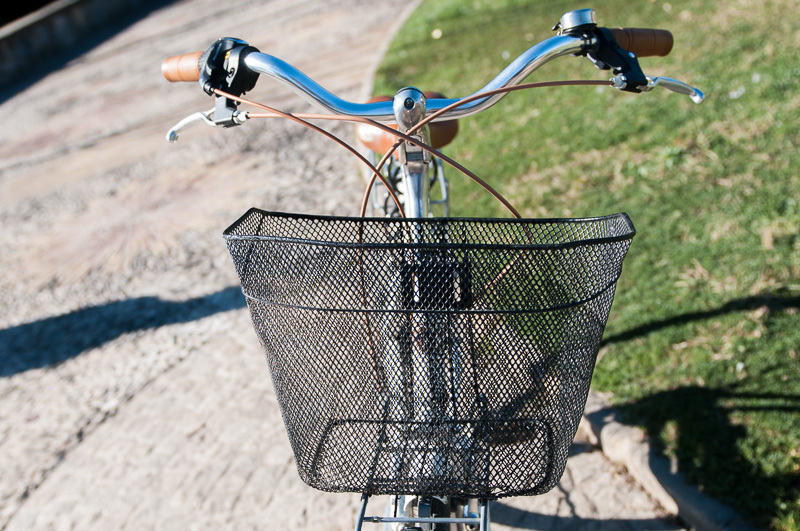 Take a look below for everything you need to know about our Barcelona city bike rentals. If you like to take life at an easy pace, the Boulevard is the bike for you. Our Italian-made Boulevards are the Cadillac of our fleet: a smooth, classy ride. Hop on our Boulevard, head to the store to pickup some wine and snacks, then pedal to Ciutadella Park for a relaxing picnic amid one of the city's largest green spaces. Or, throw on some sunscreen and pedal down Barcelona's beachside bike paths. In the park, at the beach; these bikes love both, and you will too. Rent now or read on! 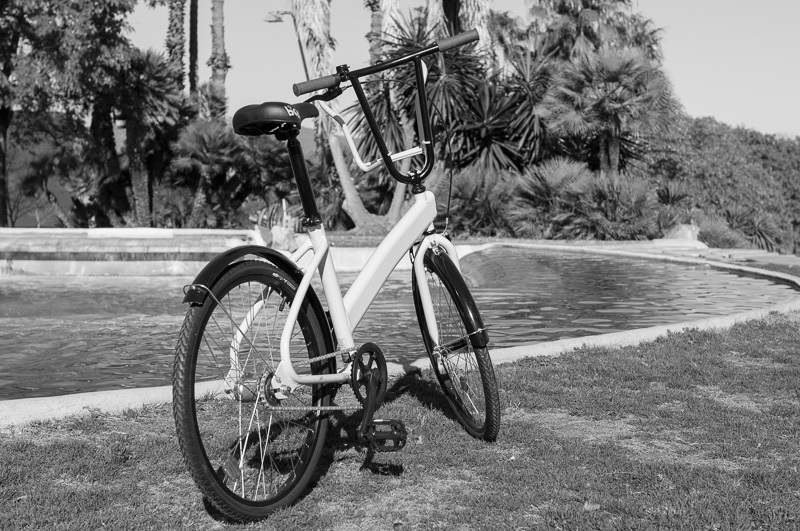 The Boulevard is a more traditionally sized city bike, with a stylish retro look, bike racks and six speeds. With Delivery & Pickup 10 € flat fee per bike for delivery/pickup service. 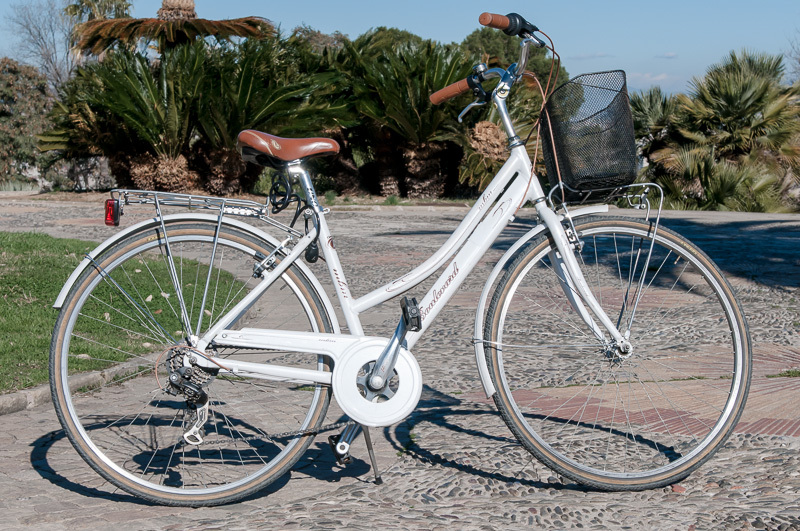 Click here for your Barcelona Boulevard city bike rental. *"Shop Pickup & Return" means you come to our shop to pickup your bike and return it at the end of your rental period. Shop opens daily from 10:00h-13:30h and from 16:00h-19:30h. We are located at Calle Montserrat, 8. Not far from the bottom of the Ramblas. *"With Delivery & Pickup" means we deliver your bike and pick it up at the time and place of your choosing. Click here to read more about our bike rental delivery and pickup services. An afternoon jaunt along the Mediterranean. Daily use for trips to local markets or grocery stores. Bigger riders who don't feel comfortable on our smaller Be Cool bikes. Bikers who want more than two gears. Strong, sturdy frame made from H46 stainless steel alloy. Shimano shifter and rear derailleur. 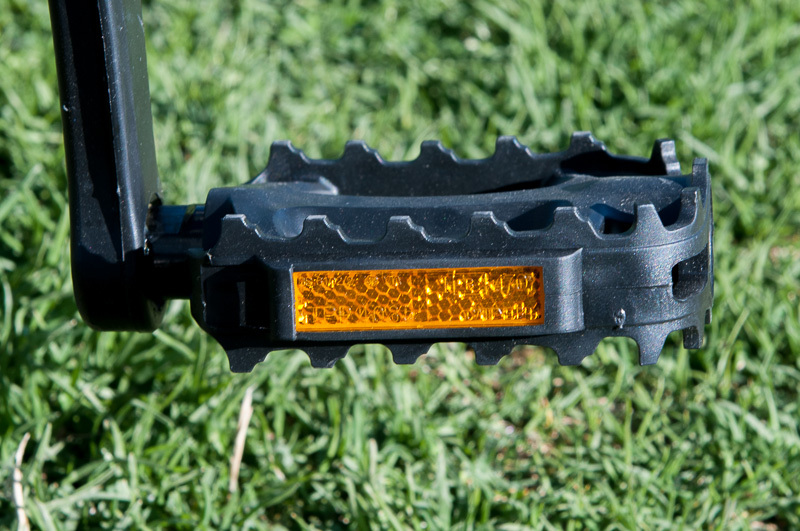 Anti-slip pedals that keep you on your bike, rain or shine. Cool retro design that lets you ride in style. 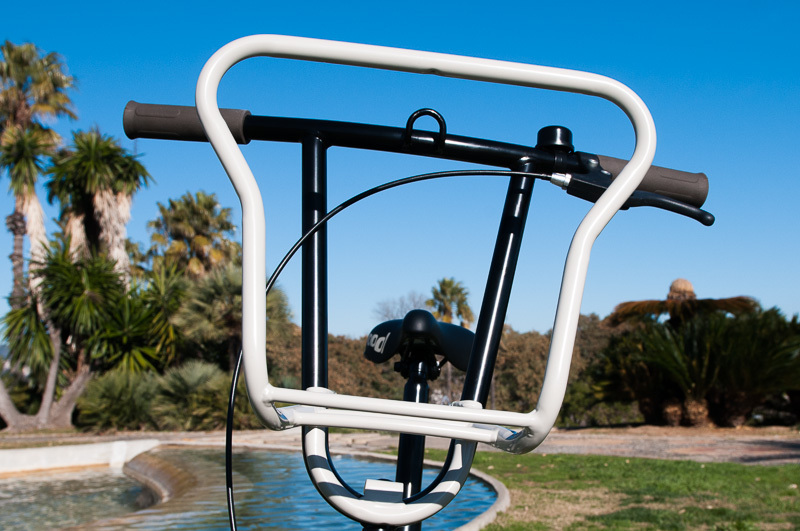 Front and rear bike rack for your beach gear or a quick run to the market. Rear Derailleur: Shimano TX35, 6-speed. Equiped With: Front and rear bike racks, mud guards, chain protector and ant-slip peddles. The B'Cool is the perfect bike for urban riding. We chose the B'Cool for its sturdy frame, Kevlar-lined tires and its responsiveness. It's a small, simple bike you'll love. The bike is just as happy taking a quick trip to your favorite cafe as it is embarking on a half-day journey to your favorite neighborhoods, museums and cathedrals. Don't be fooled, though. The B'Cool packs a big punch for a small bike: an automatic drive train automatically shifts you into second gear, its tires are lined with Kevlar and newly-designed handlebars make steering even easier. Our B'Cool is the ultimate utilitarian bike for riders looking for a no-nonsense, quality experience. Rent now or read on. The Be Cool is a simple, but reliable city bike with automatic gears, front bike rack and a solid frame that is easy and fun to ride. *With Delivery & Pickup 10 € flat fee per bike for delivery/pickup service. Click here to rent a Be Cool city bike. *"With Delivery & Pickup" means we deliver your bike and pick it up at the time and place of your choosing. 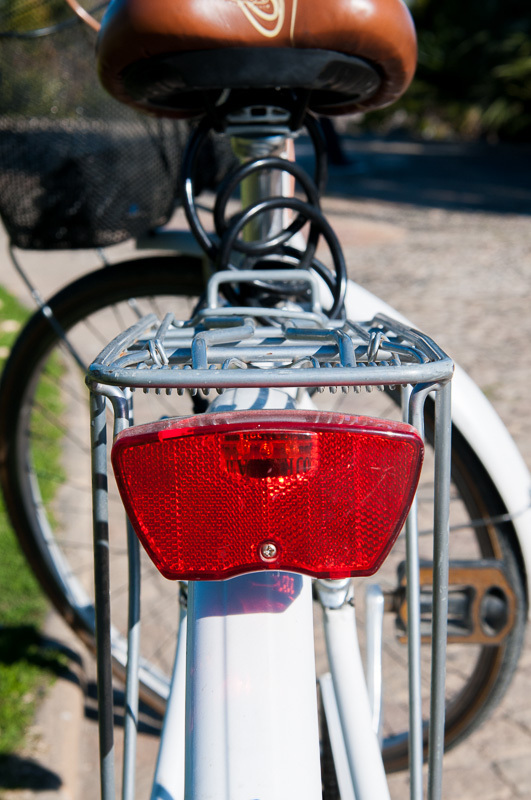 Click here to read more about our Barcelona bike rental delivery and pickup services. A quick trip across town for coffee with a friend. Three or four hours of city riding. Riders who want an easy-to-manage, uncomplicated worry free bike. The narrow streets and walkways of Barcelona's Old City. Bikers who want to explore the city on their own. Automatic drive train: shifts to second gear automatically at 16 km/h. New handlebar technology that that makes negotiating turns comfortable and easy. 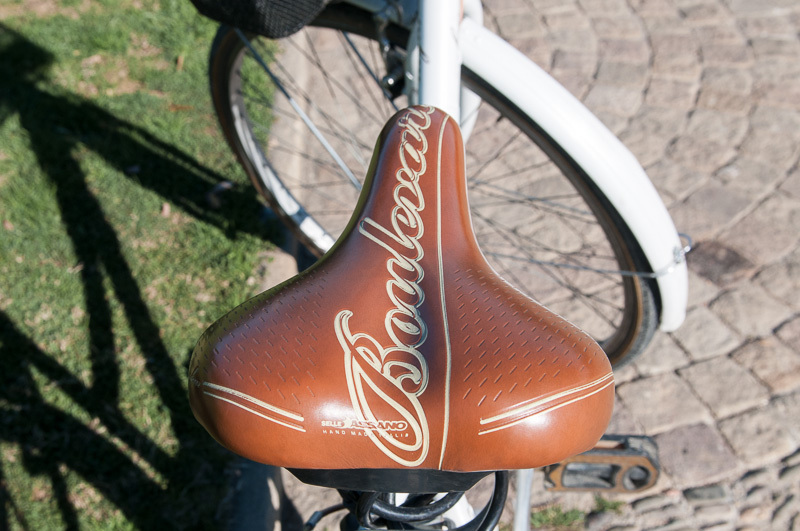 One-size-fits-all design with an adjustable saddle. Just adjust your saddle and off you go. Small frame and wheels make the bikes easy to store in a hotel room or apartment. Simple stopping with a pedal-driven coaster brake. Frame: Hi-Ten steel. 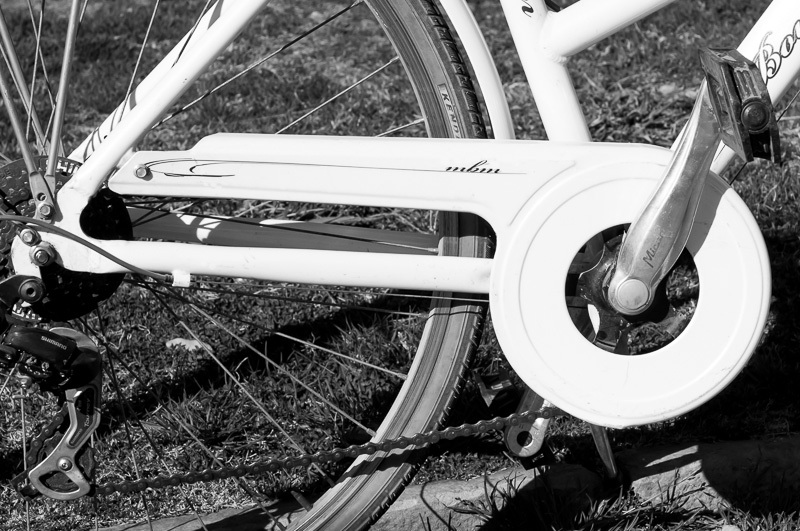 Uunisex urban geometry, specially designed frame for city cycling. 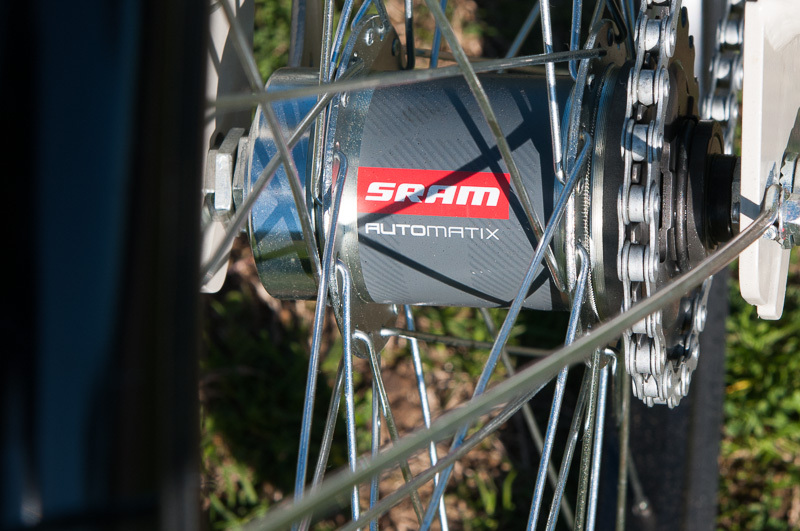 Drivetrain: Single chainring steel crank with plastic guard + two automatic gears. The bike automatically shifts into second gear when you reach 16 km/h. When you slow down (easing off on the pedals), the bike automatically down shifts back into first! Wheels: 24" wheels. Single-walled unfinished aluminium rims. 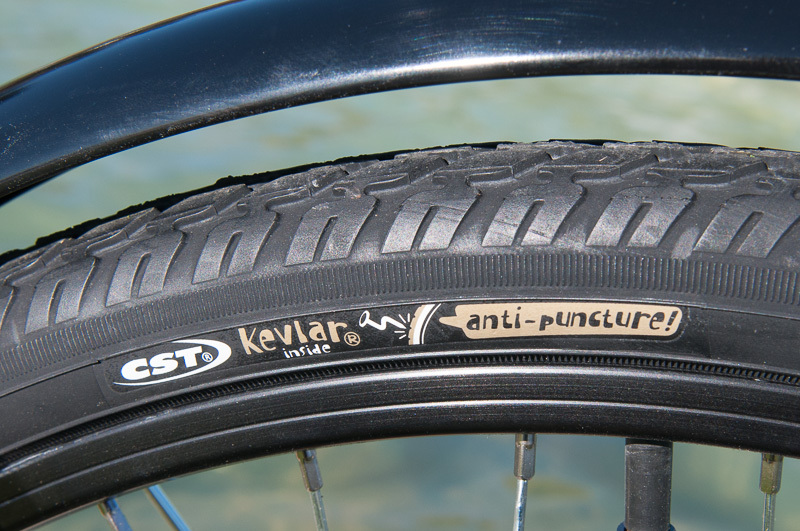 Tires: Puncture-resistant, urban tires with a reinforced Kevlar strip to protect from punctures. 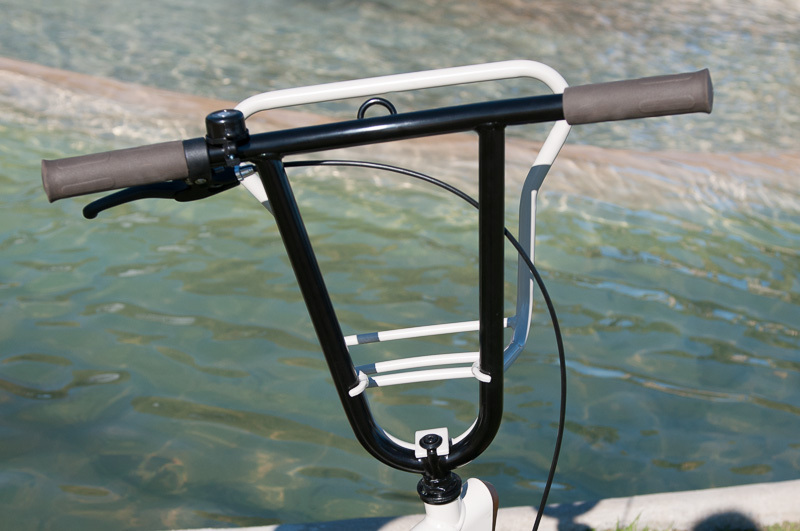 Handlebar: Specially-designed steel handlebar with a hook for carrying small bags up to 5 kg (11 lbs). 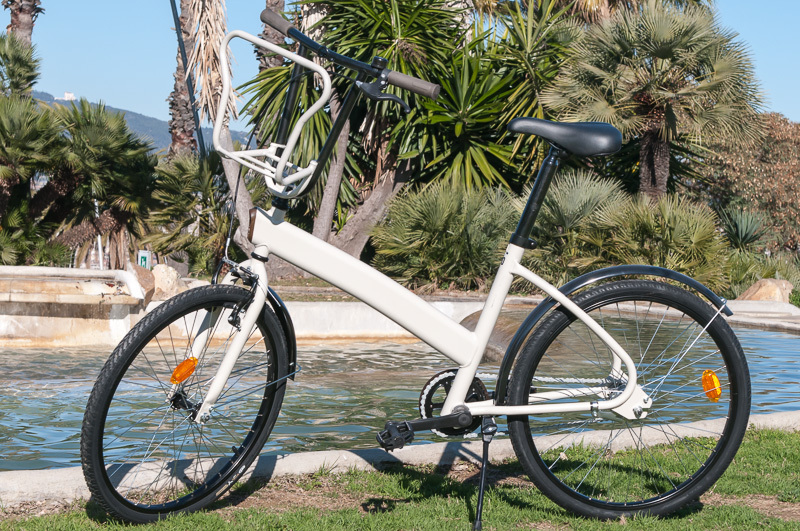 Equiped With: non-slip pedals, kickstand, mudguard, front and rear battery-powered lights. "I have been able to take some GREAT photographs of France and throughout our Spanish ports. The suggestions you gave about the aperture settings has been tremendously helpful."